Sometimes carpet just makes sense. It is often the choice of parents as it is a user friendly surface for young children to play on. We see carpet installations in bedrooms, recreation rooms and basements frequently where that cozy warm and soft feeling beneath the foot is desirable. When choosing the right kind of carpet for your home, there are a number of considerations for you to evaluate before deciding on the right manufactured style of carpet. We offer some quality designs in Cut Berber which are ideal for individuals with pets. Loop fiber carpets are not recommended for homeowners with dogs or cats, as the loops can "catch" on claws and reduce the useful life and new appearance of your carpet faster. Choosing a Cut Berber style is a better fit, as it has no loops and will be more resilient in homes with domestic pets. The cut pile creates that cushioned feel that is soft and ideal for homes with children as well. Carpeting can vary in price depending on the fiber of the floor covering. 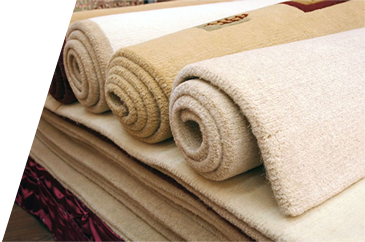 There are typically three fibers used for carpeting; Wool, Nylon and Olefin.Carpets made from wool are extremely durable, warm and resilient to cleaning and high traffic use. If properly maintained a wool carpet can last a lifetime, but they are the top of line carpeting at a premium price. Nylon is a less costly than wool and frequently used in carpeting, as it resists both moisture and staining. It is a synthetic fiber that comes in a variety of colors and a nylon carpet floor can last up to twenty years when properly maintained. It is a popular choice for new homes. 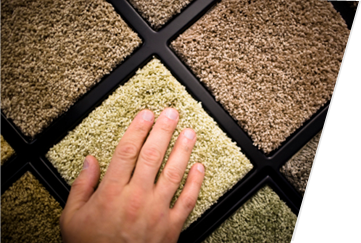 Olefin is the least costly but least durable carpeting option, with an average useful life of about ten years. 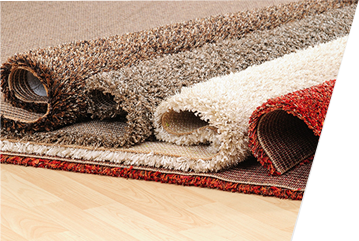 Homeowners selling their home may opt for an affordable Olefin carpet to re-floor areas of the home economically. 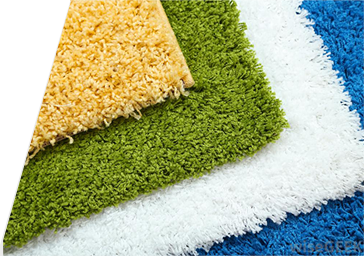 Overtime an olefin carpet is prone to matting and crushing (or flattening of the pile) and it is less stain resistant than other options. Looking to start your renovation with affordable flooring and upgrade to wood floors later? We have carpet patterns and colors you will love at prices you won't believe. Give us your renovation budget and we'll provide recommendations for economical carpet flooring that will work for you.